Slovenia is a beautiful vacation destination, home to historical castles, picturesque lakes, green valleys and charming coastal towns. Whether you are interested in wine tasting, hiking, skiing, golf, thoroughbred horses or relaxing spa resorts, there is plenty to see and do. 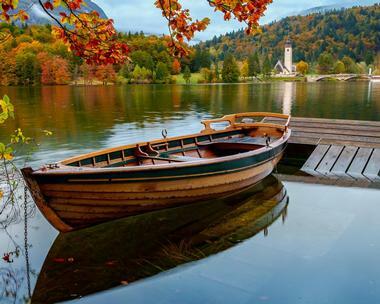 Bled is one of the most romantic spots in Europe. Its breathtakingly beautiful emerald glacial lake is surrounded by snow-capped Julian Alps, cool mountain rivers, ancient forests and plenty of history. In the middle of the lake is a tiny island which is home to the Church of the Assumption, a Gothic church built in 1465. Couples can get married in this church if the groom can carry his bride up the 99 steps to the church. 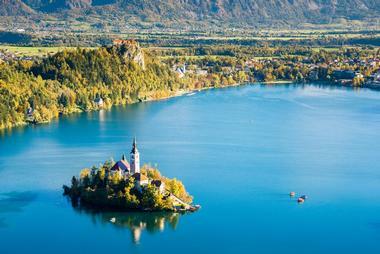 The 11th-century Bled Castle on a cliff overlooking the lake houses a museum, chapel and printing press. 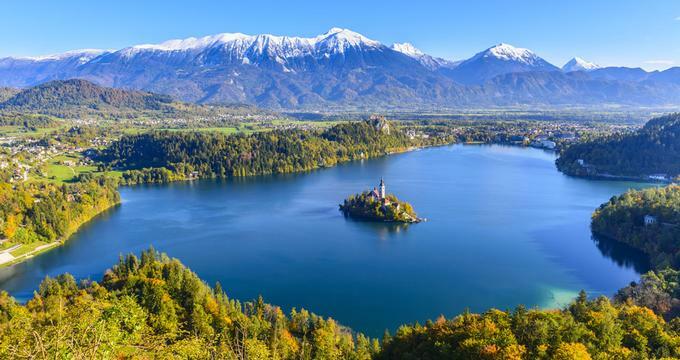 The small resort town of Bled is spread along the banks of the lake and is a very popular tourist destination with some excellent hotels and restaurants. It is a great starting point for all kinds of outdoor activities including hiking, rafting, biking, skiing, skating, horseback riding and much more. The waters of the lake, known for their healing properties, are fed by a thermal springs. 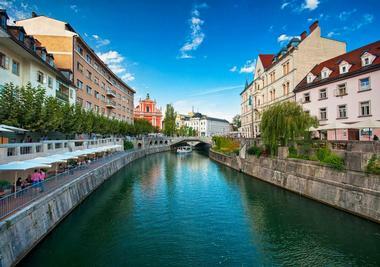 Ljubljana is elegant, sophisticated, urban and ancient. People have been living on the site of this lovely European city for five thousand years. Two thousand years ago Romans built a city at this site they called Emona. There is a medieval castle, Baroque palaces, charming bridges, lovely parks, excellent museums and great restaurants. Visit the City Museum of Ljubljana to learn more about its history and people. The Museum of Modern Art showcases works of Slovenian 20th century artists. Stroll along the Roman town walls in Mirje and try to catch a musical performance at the Ljubljana Opera House. Cross medieval Cobbler’s Bridge, one of many charming old bridges that cross Ljubljanica River in the heart of Ljubljana. Taste local goodies at the Ljubljana Central Market near beautiful Town Hall. Take the kids to the lovely Tivoli City Park in the heart of the city, and enjoy its flowers, trees and old fountains. 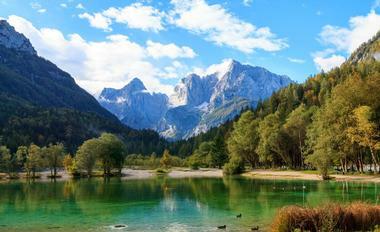 Triglav National Park is in the Julian Alps in northwestern Slovenia. It is Slovenia’s only national park and is named after the country’s highest mountain, Triglav. The park covers 320 square miles, which accounts for 4% of Slovenia’s territory, and is bordered by both Italy and Austria. This is a very rustic park and with limited tourism infrastructure. The park’s prominent features are the abundance of 6,500+ foot mountain peaks and the glacial Lake Bohinj. From the mountains to the lakes, there are numerous outdoor activities for visitors to explore. Hiking in both winter and summer is extremely popular and rafting and hydro speeding on the Soca River are unforgettable experiences. Otocec Castle, the only Slovenian castle completely surrounded by water, was built in 1252 on an island in the center of the Krka River in Slovenia. The island is linked to the banks of the river by two bridges. The castle has had a turbulent history and has been fortified many times to withstand the threat of invaders. Its original furniture was been lost when it was burned during WWII. The castle has been converted into a luxury boutique hotel with 16 opulent rooms and suites that offer all modern amenities and the incomparable romance of a medieval castle. Guests can stroll through the ancient courtyards and the beautiful castle park with century old trees or take a boat on the emerald waters of the surrounding river that boasts more than 30 species of fish and a huge number of birds. About 50 Mute Swans live on the river around the castle. Created by the relentless work of the Pivka River over several millennia, Postojna Cave is a 24,120 meter long cave system near Postojna in Slovenia. 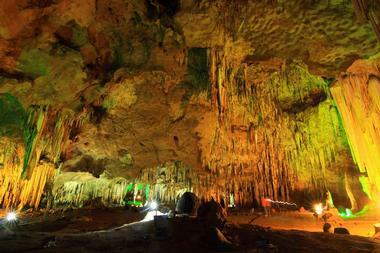 The system consists of a range of passages, galleries and chambers carved out of karst rock. The caverns are filled with spectacular calcite formations, stalagmites and stalactites, of all ages, in all shapes and colors, some of which are enormous. Electric lighting, installed in this very popular tourist destination in 1884, allows visitors to see the magnificent shapes and forms, including some very rare cave animals. Today’s visitors can travel through the caves by train in a guided tour that lasts about hour and half. Maribor is in the northeast corner of Slovenia and, with a population of 115,000, is the second largest city in the country. This idyllic town is nestled between the Pohorje Mountains and grape vine covered hills. and the Drava river meanders through the middle of town. The beauty of the area is topped only by its rich wine tradition as the main attraction. This is wine country at its best and oldest. In fact, in the oldest part of the town, Lent, visitors will find the oldest vine in the world. Kranjska Gora is a charming alpine village on the upper Sava River in Slovenia, close to Italian and Austrian borders. 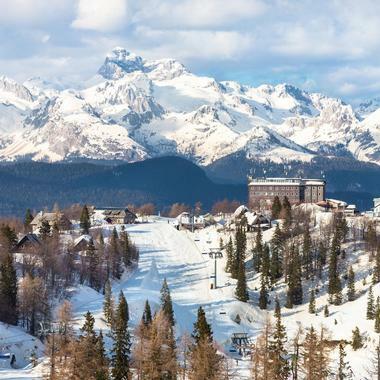 Shadowed by the imposing Julian Alps, on the edge of the Triglav National Park and surrounded by ancient forests, Kranjska Gora is a popular starting point for outdoor activities year around. With its excellent ski slopes for skiers of all skill levels, great ski lifts that take skiers from the village straight up to the slopes, ski schools, numerous hiking and biking trails, , modern and rustic hotels, restaurants and bars, Kranjska Gora has something for everyone. Stroll through the quaint, friendly village, visit the 16th century Gothic Church of the Assumption of Virgin Mary, explore the surrounding villages and enjoy immersing yourself in the country’s folklore, cuisine and natural beauty. 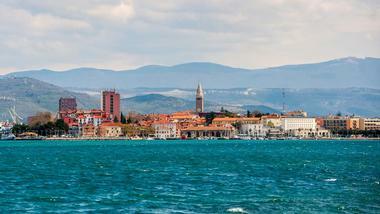 Koper is a medieval port city on the Adriatic coast of Slovenia. There is distinct Mediterranean feel in the city, with a wonderfully mild climate, spacious cobblestoned squares, narrow streets and elegant architecture. Its picturesque old town spreads around the main square Titov Trg, and is surrounded by Venetian-influenced beauties such as a Gothic loggia and the 13th century Praetorian Palace. Relax by the Da Ponte Fountain, which is reminiscent of the famous Rialto Bridge in Venice. Visit the beautiful 12th-century Cathedral of the Assumption with its tall bell tower that offers spectacular views of the bay. There are exciting caves to explore, many excellent wine cellars and vineyards to visit, or enjoy great bird watching with BirdLife Slovenia or local specialties in quaint ‘tourist farms’ located in nearby villages. Kranj, perched on a rocky promontory on the convergence of two alpine rivers – Kokra and Sava Rivers, is a lovely old town that grew on the site of an ancient Roman settlement. It is the heart of the Gorenjska region, and is shadowed by massive Alpine mountains to its north. Its charming mix of well-preserved gothic and baroque architecture makes the old town a lovely place to visit with its cobblestoned squares, monuments, cafes, shops and restaurants. Visit the magnificent gothic church of St. Kancijan. Stroll along the city walls that once protected it from Ottoman and other invaders. Khislstein Castle has a lovely, informative museum. Visit Mitnica and Pavslar city houses, some of the oldest in the city. 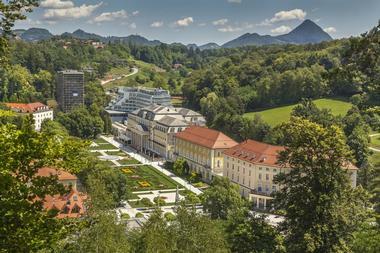 Enjoy shady green spaces atPreshern park, which was dedicated to Franc Preshern the most renowned Slovenian poet, whose monument is in the park. 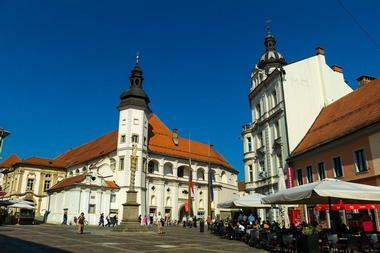 The main Kranj square is home to the old city well, which bears a gilded ball and eagle, the city’s symbol. As you drive from Bled towards the village of Podhom, you will come to Vintgar Gorge, where the Radovna River tumbles through its narrow confines. All along the gorge there are galleries, paths and bridges built into the rocky walls. After about 1600 meters, the Radovna river cascades over a series of rapids that end in quiet pools. The gorge and the trail, end at the magnificent 26-meter high Šum Waterfall, the highest in Slovenia. From the waterfall the trail goes up to the chapel of St Catherine, which is located just above Zasip. The view from the chapel is breathtaking – you will see the Ljubljana Valley, Karavanke Mountains and Mt. Triglav. Slovenia is a hiker’s heaven. Not far from Ljubljana, a few kilometers drive from the town Kamnik, you can catch the cable car to Velika Planina or Big Mountain, an elevated plateau in the Kamnik Alps. Once you exit the cable car, a 40-minute hike across marked paths will take you across the beautiful meadows covered in wildflowers to Gradišce, the highest point of Velika Planina. On the eastern side of Gradišce you will find a historic picturesque herdsman’s village where herdsmen still preserve their simple lifestyle in uniquely designed dwellings. Some of the round huts in the village are of original design, and are characteristic for the area. Enjoy the cheese the herdsmen make, breathe in clean air and relax in the quaint, peaceful alpine setting. 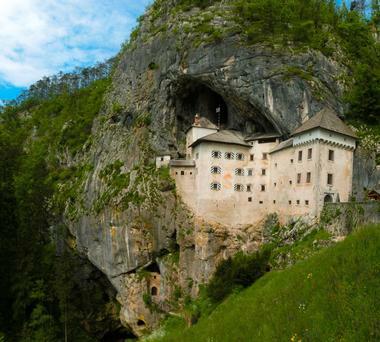 Located about nine kilometers from the famous Postojna Cave, Predjama Castle is a magnificent Renaissance castle built in the mouth of a cave in central Slovenia, surrounded by legends and romantic history. This Gothic castle was built in 1274 by the Patriarch of Aquileia, high up on the 123-meter cliff under the cave opening, impenetrable and imposing. In the 15th century, the castle became the seat of the notorious robber baron Erazem Lueger, where he defended himself from Frederick III, the Holy Roman Emperor, using secret tunnel to get supplies. The castle and the tunnel, today called Erazem’s Tunnel, are open to visitors. The living quarters, the dungeon and the chapel, weapons, oil paintings and numerous other remnants of previous occupants are well preserved and on display. 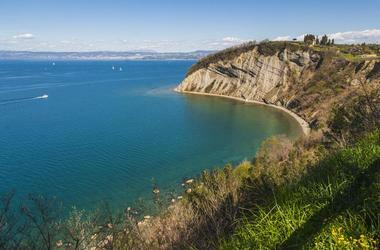 The Bay of Strunjan between Izola and Piran in Slovenia is a 400 acre nature reserve protected for its rich biodiversity, unique geomorphological and geological characteristics and as the longest continuous natural section of coast in the Bay of Trieste. The area has four kilometers of coastline unique to the Adriatic Sea. The most scenic part is the 80-meter long cliff composed of soft layers of sedimentary rocks which is constantly reshaped by the wind, sea and rain. The estuary of the Roja River has remains of the salt flats formed in the middle ages. Stjuža is a nearby lagoon, , which is teaming with fish. A steep, granite cobbled path leads to the St. Mary Ascension Church, Istria’s most important pilgrimage site. One of the oldest towns in northern Slovenia, Kamnik is surrounded by mountains and lies on the slopes of the Kamnik Savinja Alps. In the Middle Ages it was a flourishing trading town which even had its own mint.Much of the charm and heritage from that era is retained and can be found in the town’s wonderful architecture, people, and places. It is also considered a significant destination by hikers and nature lovers as the rocky hills surrounding it are perfect for a day out. Points of interest include the Church of St. Primusand Felician, which is famous for its Renaissance frescoes, its Franciscan monastery which houses an extensive library, and Mali grad, Stari grad, and the Zaprice Castles, all of which border the town. Bohinj is nestled in a 20 kilometer long and 5 kilometer wide valley in the Julian Alps between Soteska and Ukanc, surrounded by the Lower Bohinj Mountains in the Triglav mountain range. Sava Bohinjka River flows through the valley forming breathtakingly beautiful emerald periglacial Lake Bohinj. The area is a very popular vacation destination, where swimming, hiking, cycling, kayaking and horseback riding are the most popular activities. The lake is surrounded by quaint villages where people still enjoy a simple way of life, focused on herding and farming. A short drive takes the visitors to the 78 meter high Savica Waterfall, as well as and the 130 meter high Govic Waterfall which erupts only during heavy rain. St. John the Baptist is a beautiful Gothic church, featuring an imposing bell tower, which is located at the mouth of the Sava Bohinjka River where it flows into the lake. 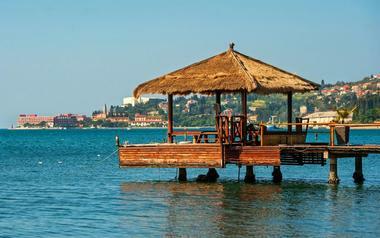 Portorož is a pretty, modern Mediterranean town located on the Gulf of Trieste on the Adriatic Sea in Slovenia. It is a popular tourist destination known for its healing salty mud and great casinos. Portorož has one of the largest marinas on the Adriatic Sea. The health tourism started developing in the area in 13th century but it boomed at the end of 19th century when many rich Europeans started building villas in Portorož to be closer to the spas that started cropping up. Healing waters and muds continue to be the basis of tourism in Portorož today, with a large number of high-class hotels, casinos, restaurants, bars and sport facilities available to satisfy the demands of modern visitors. A short drive will take visitors to the large sculpture park up in the hills south of Portorož and to the natural salt pans in Secovlje which continue to produce salt to this day. 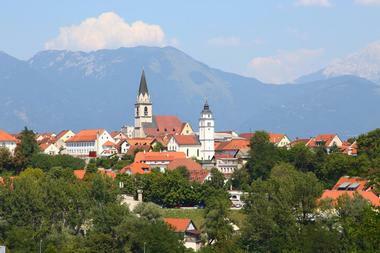 Rogaška Slatina is small town in eastern Slovenia popular for its mineral waters. Their healing powers were discovered by Romans two thousand years ago, and the village grew up around the mineral water pools that attract visitors year around. The heart of the city is Rogaška Health Spa which offers professional treatments for metabolic, digestive, stress-related and psychosomatic disorders, using local mineral waters. Beautiful natural surroundings with three rivers and numerous colorful villages ensure tranquility that enhances the power of the waters to providing an environment which is ideal for healing. Casino Fontana offers a bit of distraction, Juneževa Homestead-a 19th century traditional farmhouse offers a bit of history. For a change of pace follow the Rogaška Wine Road, a self-guided tour of the local wineries and vineyards. 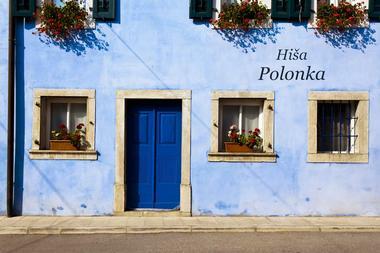 Izola is an old Mediterranean fishing town on the Istrian Peninsula on the Adriatic Coast. 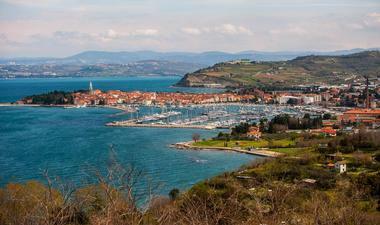 The town of Izola was founded in the 7th century on a small island. The fortified city walls were torn down at some point to fill the space between the coast and the island. Together with the rest of Istria, Izola went through many rulers, but its time under the Venetian Republic left the most impact in the form of charming narrow streets and beautiful architecture. Izola’s large marina is always full of beautiful yachts and the old fishing port is a lovely place to observe the locals going about their daily lives. Izola has a large number of great hotels, resorts, restaurants and cafes Watersports and lounging on the beach are the most popular activities. 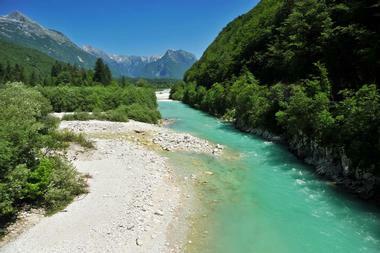 The 136 kilometer long Soca River flows rapidly through Slovenia from Trenta Valley in the mountains in the north towards the Adriatic Sea. The mesmerizing blue-green color of its crystal-clear mountain waters stays the same as the river passes through many gorges. One of the most picturesque gorges is at Kršovec near the village Kal-Koritnica, at the entrance to Triglav National Park. There is a steep path that leads from the road to the river. With its many rapids, ponds, waterfalls, pools, channels and hollows, the river is very popular among white-water rafters and kayakers, and its famous Soca trout and other fish make it a treat for fishermen. 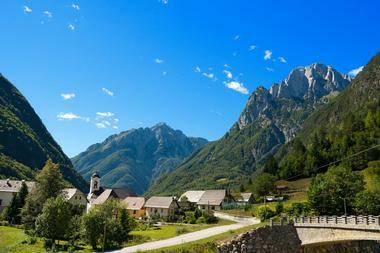 Kobarid is small western Slovenian town in the Julian Alps in the Upper Soca Valley. Kobarid is best known as the site of the 1917 Battle of Caporetto, which was immortalized by Ernest Hemingway’s novel A Farewell to Arms. Inhabited since prehistoric times and on the important crossroad through Europe, Kobarid has rich past and many monuments that attest to it. The 5 kilometer long self-guided Kobarid Historic Trail will take you through some of the most important spots such as the Napoleon Bridge, the Tonovcov Grad settlement and the very informative Kobarid Museum. Its proximity to the Soca River makes Kobarid a popular starting point for tourists looking for adrenaline-pumping outdoor activities such as rafting, kayaking, mountain biking, hydrospeeding, paragliding and much more. Kokrško Sedlo is a mountain pass in the Kamnik–Savinja Alps in Slovenia, on the popular hiking trail between Grintovec and Kalška gora. 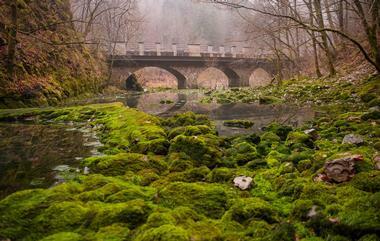 It is also the pass between the Kamniška Bistrica Valley and Kokra Valley. 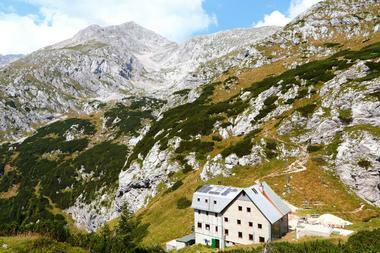 There is a beautiful view of the walls of Jurjevec and Kalška gora gorges below the pass. You can also follow a part of the trail through Kamniška Bistrica and have a great view of the Velika planina mountain. 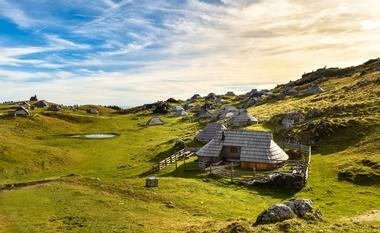 To the west the view encompasses the alpine pasture of Suhadolnikova planina mountain and on into the Kokra Valley. There is a charming mountain hut, Zoissova koca, on the pass, with 17 rooms and a restaurant, which is open from July to October. Celje is an old city in Slovenia at the confluence of four rivers in the Savinja Valley. The city is overshadowed by a1,335-foot-high hill which bears the ruins of the Upper Celje Castle In AD 45 it was an important Roman settlement named Celeia, which was densely populated and wealthy. The defensive moat and fortified city walls were built in 1473. 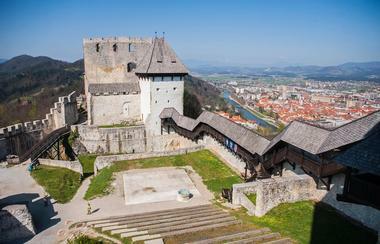 Celje is popular tourist destination for its historic heritage, rich cultural life and beautiful natural surroundings. The most popular activity is strolling through the remains of the Upper Celje Castle. Art lovers will find the Celje Gallery of Contemporary Art fascinating. Celje Regional Museum, with its two locations at the Old Counts’ Mansion and the Princely Palace, offer illuminating insight into the city’s turbulent history. 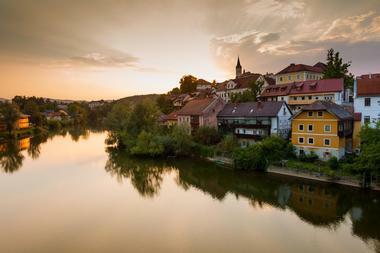 Novo Mesto, in the southeast of Slovenia, is located at a bend of the Krka River. 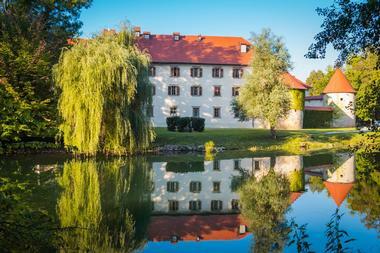 It was founded in 1365 by the Austrian Archduke Rudolf IV in the hills of Dolenjska. 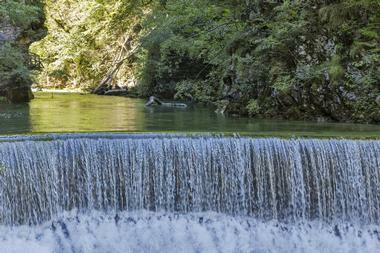 The main attraction of Novo Mesto is the Krka Valley with its natural beauty. Dotting the banks of the river are numerous picturesque mills and castles. Visitors will find vantage points, trails, sporting and other facilities, fruit for picking, and fishing all along the river. In town, the attractions of special note include the Novo Mesto Chapter Church of St. Nicholas, St. Leonard’s Church & Franciscan Monastery, the Regional Museum of Dolenjska, and the Jakcev dom Gallery. The city of Idrija is in the northwest corner of Slovenia. It is a small town with a population of 7000 but it is rich in culture and heritage. Of particular interest in this area are the historical ties to Mercury mining. As one of the two largest sites of Mercury Mining in the world, Idrija affected European history when Mercury extracted from it was used in the amalgamation process of South American silver and gold. These riches enabled the development of European economy, science and art. 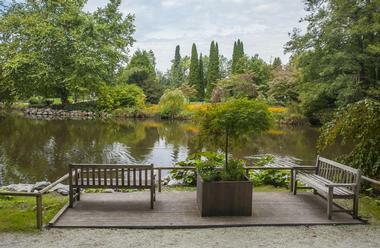 Visitors can enjoy museums and on-site visits to this UNESCO World Heritage site. Visitors to Slovenia who are interested in nature, history or sports will want to visit BovecBovec is a town of 1700 in the westernmost province of Slovenia which is located just outside Triglav National Park. It is in the center of the Upper Soca valley and is surrounded by numerous small and unique villages. As a historically important trade route, Bovec’s history is as old as European civilization. This history is well documented and represented in this tiny town. For those interested in something more physically stimulating, the area is replete with opportunities for sports such as skiing, hiking, white water rafting, and paragliding.